The mystery behind this wonderful figure…perhaps adds to the allure of his pieces. Privacy is often disregarded as one of the most valuable tools in preserving the true value of a piece of music. Bridge found his ultimate expression through his music. This is utterly evident in the absolute expressiveness coming through his pieces. They all seem to reach for some intangible bit of life. Hopeful, yet extremely fragile in depth. Bridge was deeply affected by World War I and this had great affect on his pieces notably. To write this account of Bridge’s life was both a rewarding and a frustrating enterprise: rewarding because it provided the opportunity of coming into contact, albeit only at second hand, with the life of a highly distinguished musician whose contribution to English music, once almost forgotten, is now becoming increasingly recognized as of substantial importance; frustrating because the material available for researching into Bridge’s life is limited. Bridge died childless, and many of the usual artefacts that biographers rely on for their information – letters, diaries, photographs, memorabilia of all sorts, frequently handed down through the family – are missing, almost without doubt destroyed. Bridge’s earlier life is especially problematic from this point of view. The biographer has to rely basically on those facts relating to his student activities that are contained in the archives of the Royal College of Music, London, and on reports in the musical press for his achievements of the following ten years or so. Bridge’s personality at this point remains in the shadow. However, from roughly 1920 on, the picture becomes clearer. Two of Bridge’s closest friends, whom he had originally met around that time, had the foresight to preserve his correspondence, and so we can read with great interest and fascination of his thoughts and feelings, of his ideas on a wide variety of subjects, both musical and extra-musical. His personality emerges unmistakably. Indeed, both Bridge and his wife were excellent letter writers; at the very least their letters are always entertaining. Therefore we can but regret that very little of Bridge’s correspondence survives from earlier in his life. In addition, although there are significant collections of letters to a handful of recipients, their replies have not been preserved. Thus there are letters from Bridge to Britten, but sadly none in return. The only large collection of letters extant from a correspondent of Bridge’s is that of Mrs Coolidge, the American patron of chamber music and his benefactor. Unfortunately these tend to be of a rather formal nature – they were tidily typed, copied and filed by her secretary. The three main problems that Bridge had to face during the immediate post-war years – financial insecurity, concern about his creativity, and the painful adjustment that had to be made regarding the new post-war world – were inseparable and appeared depressingly insoluble. How could he ensure that he had sufficient time for composition yet also be able to earn enough money for living expenses? A solution to the problem came not from England, where he was well-known, nor from Australia – he proposed to emigrate and start a new life there – but from quite a different quarter, America, where he was almost unknown. The above line sums up the Langgaards . Their music is beyond all words. Le 28 juillet 1893, naît à Copenhague, Rued Langgaard. Le bébé arrive dans un milieu où domine la musique. 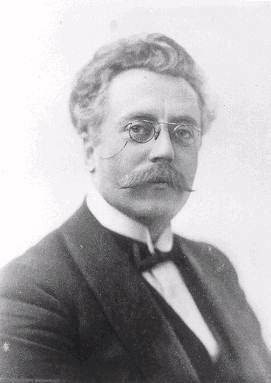 Le père, Siegfried Langgaard (1852-1914), musicien de la Chambre royale, compose et joue du piano. Une grande partie de ses activités est consacrée à l’enseignement (il professe pendant 33 ans au Conservatoire de Copenhague) et lui-même fut un des élèves de Franz Liszt. Dès l’âge de cinq ans sa mère commence à lui enseigner le piano. Plus tard, son père prendra le relais. Ils sont bientôt persuadés d’avoir enfanté un génie. Des professeurs privés sont choisis, on l’isole du monde, on lui évite contraintes et contrariétés, et il ne connaît pas l’existence de la plupart des enfants de son âge. Cette éducation marquera à jamais son caractère : distance d’avec les réalités matérielles et sociales, refus de discipline, fortes impulsions émotives mal maîtrisées. Sa première apparition publique en concert comme organiste et aussi comme improvisateur se place le 19 mars 1905 à Frederikskirken (Marmorkirken/Eglise de marbre) de Copenhague. L’interprète a 11 ans ! Mais déjà, il souhaite avant tout devenir compositeur. Quelques temps plus tard, le 7 juillet, a lieu son premier concert indépendant dans la même église. Il met à son programme une « improvisation libre », une passacaille de Frescobaldi, la Sonate pour orgue n° 3 d’Alexandre Guilmant, compositeur et organiste français de haute renommée. Afin de compléter sa formation, il étudie sous l’autorité du grand chef norvégien installé à Copenhague, Johan Svendsen, qui avait alors comme élève privé Hakon Børresen promis à une belle carrière. In his unsettled mind, he was not just a great composer, he was a prophet—a chosen person. He, and not Denmark’s darling, Carl Nielsen, possessed a truth, bequeathed to him by his parents, that music—particularly his music—could bring about a new theocratic world order with the true creative artist at the summit. But to his horror, Langgaard saw music of the new 20th century falling from perfection into “dissolution” and “vulgarization,” and he believed that his efforts to stop this were being thwarted. Never taken seriously in his home country, the strain of his burden was overwhelming and when, in 1924, the Danish Royal Opera rejected his opera Antikrist, an allegory of his battle against modern decadence, the 31-year-old composer snapped. 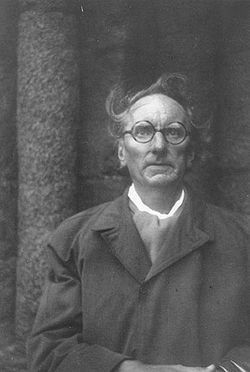 Publicly and repeatedly, Langgaard lashed out at his perceived enemies, Nielsen and the Danish musical establishment, permanently alienating himself from the very public and institutions upon whom his longed-for success depended. Unperformed and dismissed as a crackpot, the eccentric chosen one sank into near madness. So it stood for years, until Denmark, no longer bedeviled by Langgaard’s hostility, began a reassessment of his legacy. Bendt Viinholt Nielsen, Langgaard’s biographer and the editor of the critical edition used for these recordings, has been a committed advocate. Danish Radio, which, despite the abuse it suffered from Langgaard, sponsored most of the performances of his music while he was alive, has continued to do so since his death. With Segerstam and Neeme Järvi, the Danish National Radio Symphony Orchestra set down the First Symphony and the Fourth through Sixth respectively for Chandos (9249 and 9064). On Danacord (307 and 340–341, re-released on 560), they recorded, with conductors Frandsen, Schmidt, and Schønwandt, the Symphonies Nos. 4, 6, 10 and 14. There were a few earlier LP releases, but these were the recordings that first introduced many to the symphonies of the eccentric Dane. They are still an excellent sampling of the 16, and created enough interest that I purchased the 1992 Danacord symphonies set with the Artur Rubinstein Philharmonic Orchestra under Ilya Stupel. As it happened, the experience of the rest of the Langgaard canon cured me for years. I kept the earlier discs, found other homes for the Stupel discs, and haven’t thought much about Langgaard since. It was the appearance of this set, under Thomas Dausgaard, a conductor whose Nielsen, Berwald, and Beethoven I admire, that convinced me to try again. Alas, Dausgaard and his excellent Danish orchestra could not persuade me of the value of most of these works, either. A couple of weeks of immersion in this new set, along with a reappraisal of the earlier CDs, has confirmed that Langgaard was a composer with compositional gifts—especially for brilliant orchestration—but not enough of them. He lacked, in particular, a talent for formal structure and an adequate sense of proportion, shortcomings fatal to the writing of symphonies. The 16 works that he chose to designate as such are too often bewildering juxtapositions of powerful, often beautiful, inspirations and banal effects, patchworks of themes with little coherent organization, and grandiose ideas with little or no development. What is more, throughout his life he wrote works not just inspired by, but consciously imitative of Romantic composers like Schumann, Grieg, Strauss, Wagner, and Liszt. These composers had iconic significance for him—their music represented good and evil in the world—but to the unassimilated listener, the results sound like neophyte borrowing. After 1924, as he became consumed by his anger and self-pity, he began writing in protest of what he perceived as his mistreatment, often parodying his assumed tormentors and confronting them with his disdain. There are effective works, as well. The First, in particular, and the valedictory 16th, transcend their self-indulgence. The quirky 14th is amusing because of it. The vaguely Hindemith-like Sixth boasts a uniquely styled theme and variations to provide structure. The regret-filled, pastoral Fourth disappoints as a symphony, but can be appreciated as a tone poem. Yet, pleasing as these works are—and these are the ones that initially attracted me to Langgaard—none of the 16 symphonies really achieve mastery of form or substance. Langgaard’s contemporaries, seemingly, weren’t so wrong in their assessment. Still, there are now those who value Langgaard for his eccentricities, and who view his peculiar traits as the signs of a unique creative genius. For them, this newly compiled dacapo edition is a treasure. Dausgaard presents Langgaard in all his oddball glory; brilliant and muscular in style, hiding nothing and apparently reveling in his peculiarity. Dausgaard is generally precise and powerful, not willing to smooth out the stylistic shifts, and he uses rubato more sparingly than the conductors in competing releases do. This works best when Langgaard is in stentorian mode: the buildup in the finale of the Sixth to the last massive chord is hair-raising. But where expressive imagination is needed, especially when repetitions of inadequately developed material threaten to get tiresome, Dausgaard tends to play it straight where other conductors have shaped and varied the repetitions to maintain interest. Charm is not Dausgaard’s strength here, either. The capricious 14th, so captivating in Schønwandt’s hands on Danacord, becomes stiff in Dausgaard’s performance. Still, this set supersedes the pioneering Danacord complete edition, which memory tells me—and a download of the First confirms—was rather rough in execution. Here, the playing of all sections of the orchestra, from silken strings to characterful woodwinds to massive brass, is superlative. This would be an easy recommendation on the basis of orchestral prowess alone. Completeness is its other compelling virtue. For those of us less enamored of the idiosyncratic and extravagant, though, completeness may not be a selling point. For doubters, I would suggest a more measured approach, starting with the precocious First, arguably Langgaard’s best symphony. This hour-long teenage exuberance, in the style of Wagner and Strauss, can be rather wearing for anyone not devoted to Scriabin-like intemperance. However, paradoxically, I would recommend the most indulgent recording, Segerstam’s at over 67 minutes, as the most effective. Stupel’s recording, 10 minutes faster, misses much of the poetry of the work. Dausgaard’s, at a bit over 60, is much the same. His forward momentum, steadiness, and transparency, such virtues in Nielsen and Beethoven, work less well here. Segerstam—darker, more flexible and above all more Wagnerian—gives the work time to breathe, characterizes each section with an unerring sense of the whole, and molds rough transitions so that the seams hardly show. After Segerstam, I would explore the Danacord compilation. These two discs provide a broad prospectus of Langgaard’s symphonic output, including the charmingly peculiar 14th, a suite in subtitle and fact, with some very odd movement names (“Radio-Caruso and Forced Energy,” for instance), some unique use of the chorus and organ, and a gorgeously ecstatic string climax in the second movement. Schønwandt paces it all beautifully, as does Frandsen in both the Fourth and Sixth Symphonies, finding the perfect tempos and phrasing to bring the works alive. The pacing of the Poco adagio (“Tired”) section of the Fourth, for instance, with its plaintive English horn solo, is breathtaking. Despite my affection for the Järvi on Chandos, and the superior Chandos sound, these three live performances from 1981 and 1977, respectively, are my essential Langgaard. The uneven 10th Symphony, another tone poem masquerading as a symphony, is presented with searing conviction by Ole Schmidt, though the 1977 DNRSO, again captured in concert, is occasionally overawed by the technical demands. Completing the two-disc set is another technically respectable but musically inspired performance, this of Langgaard’s most avant-garde work, the 1918 Music of the Spheres. Almost giving credence to Langgaard’s claim to prophetic vision—when Ligeti first heard it in 1968, he commented, “I didn’t realize that I was actually imitating Langgaard”—this revolutionary work is as close to a masterpiece as Langgaard wrote, and shows the challenging direction his music was taking before conflict and paranoia sent him down another path. This Danacord set and the Segerstam First, which includes the strange but darkly moving Fra Dybet, may be all the Langgaard you will need. I would, in addition, recommend Jarvi’s dramatic take on the Fourth and Sixth—which includes his fine performance of the second version of the Fifth—to those satisfied with having only the best of Langgaard’s symphonic output. Beyond that, one must look to Dausgaard. If I wanted to sample the Dausgaard set, it would be the seventh disc (6.220519) which I would buy first. The dark, angry 15th Symphony, despite some stirring storm music and decidedly Romantic writing for bass-baritone and men’s choir, is too unhinged, thematically disorganized, and bitter to be very satisfying, but the Straussian 16th, written a year before Langgaard’s death, reveals a resigned, seemingly saner—though still flamboyant— composer writing from the heart. It is not much more structurally coherent than its predecessors are, but it recaptures some of the exuberance of the First and, in the Elegy and Finale, movingly takes leave. The shorter pieces, terse, mostly somber works—two are funeral dirges—come from the beginning and end of his life. With lesser need for structural logic, they showcase Langgaard’s talents and are worth having. Res absùrda!? is the one oddity, with its angry parodic repetitions. I don’t need to hear that again. Also desirable is the otherwise unavailable, longer, first version of the Fifth—with its more satisfying ending—coupled, on disc 3 (8.224215), with Dausgaard’s darker, less pastoral Fourth and a powerful reading of the second version of the Fifth. Bendt Viinholt Nielsen’s detailed program notes, which are not included in the edition booklet, are a welcome bonus with the single CDs (though much of the information is available at http://www.langgaard.dk/indexe.htm.). Still, the box set offers economy, completeness, and clever packaging of the discs and booklet in a folded heavy paper fan that rises out of the attractively illustrated box. It is as beautiful and functional as fine Danish furniture. The sound is first-rate from both CD and SACD layers and the playing is beyond criticism. The commitment of all involved in the enterprise is incontrovertible. Those wishing a complete set of Langgaard symphonies can do no better. In truth, if I only liked Langgaard’s symphonies more and the other performances less, this might have been a more enthusiastic review. This is the height of the romantic daring. Pure passion and unabashed adoration to beauty. Sir Arnold Bax, original name in full Arnold Edward Trevor Bax (born November 8, 1883, London—died October 3, 1953, Cork, County Cork, Ireland), British composer whose work is representative of the neoromantic trend in music that occurred between World Wars I and II. In 1900 he entered the Royal Academy of Music where he studied the piano. Influenced by the Celtic Revival and Irish poetry, he wrote in 1909 the symphonic poem In the Faëry Hills. He spent the year 1910 in Russia. During the following years, under the pseudonym Dermot O’Byrne he published short stories and poems in Ireland, where he spent much time. 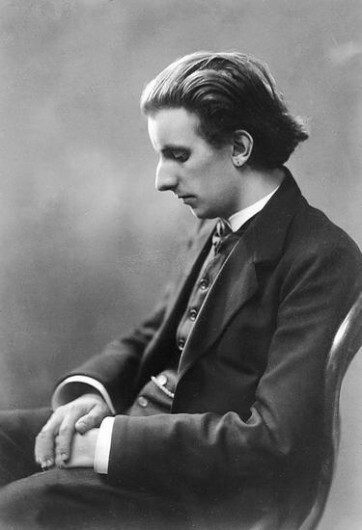 In 1916 and 1917 he wrote three symphonic poems, The Garden of Fand, Tintagel, and November Woods, which established his reputation. His ballet, The Truth About the Russian Dancers, on a scenario by the playwright J.M. Barrie, was produced by Serge Diaghilev in 1920. Between 1921 and 1939 he wrote seven symphonies dedicated to the musicians he admired, among them John Ireland and Jean Sibelius. He also wrote numerous piano and chamber works, including a sonata for viola and harp (1928) and a nonet for winds, strings, and harp (1931). Living for long periods on the coasts of Ireland and Scotland, he wrote music that was romantically evocative and richly orchestrated. He was knighted in 1937 and in 1941 was appointed Master of the King’s Musick. 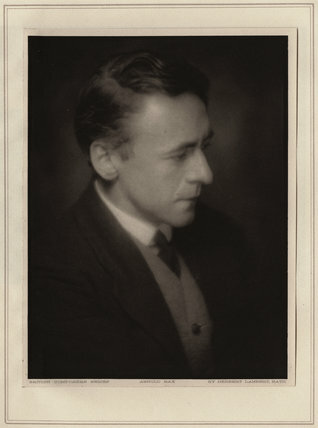 In his time, regarded as a major British symphonist, Arnold Edward Trevor Bax (November 8, 1883 – October 3, 1953) also led the life of a poet and playwright. He studied at the Royal Academy of Music, winning both composition prizes and a reputation as a legendary pianist. Among his other skills, he could reduce complex orchestral scores to the piano at sight. In his early years, Bax from time to time accompanied musicians and in this capacity won the admiration of both Arnold Schoenberg and Claude Debussy. However, he had no interest in pursuing a virtuoso career. In the early 1900s, he became infatuated with Ireland and the Celtic Twilight literary movement, represented most strongly by Yeats. The west of Ireland became one of his favorite places, and he visited there again and again. He began to publish poems, plays, and stories with Irish themes under the name Dermot O’ Byrne. Around 1910, Bax also became fascinated with Russian music through a trip there and through the London performances of the Ballets Russes and composed pastiches of Russian music, mainly for piano. The First World War probably affected Bax less than the Irish Troubles of the same time. Indeed, the British censor banned a collection of his poetry because of its strong pro-Irish stance. His major scores of the period – Spring Fire, Tintagel, The Garden of Fand, and the austere November Woods – take their inspiration either from Irish legend or landscape. When Bax’s stock had plunged to its lowest, some of these works kept his name alive and others, notably Spring Fire, led to his rehabilitation. *Note: This series will attempt to distribute pieces by little known composers. Please give your full attention and time to appreciate the geniuses whose ingenuity and musical pieces are not so well known as the “masters”. Many times, the most progressive and imaginative sounds were variations of a true prototype. These are those prototypes. Though in fact they may have borrowed some elements in times past…all still remain true to beauty. Beauty in truth. Beginning with one composer that is most certainly little known to anyone. Why that is…one can only surmise how the truest beauty of a piece of real music can escape most ears. Dumbfounding as it may be, many can and will overlook the most beautiful by simply being themselves. What does this say about one’s own reflection? What does this say for the fate of the music world? Beauty can never hide itself…it will always find its place within the world. We simply must take the time to appreciate, that perhaps we have not really ever heard, seen or felt. Richard Wetz never bent to whims of pleasing the general public. He remained genuine and precise to his German nature. Perhaps this is why he was able to retain some of the truest elements of purest beauty within his pieces. He purposely avoided the large metropolises and creating “popular compositions” to increase his fame. This alone spoke volumes on how he cared to preserve the very elements that make music the most transcendent form. The tangible medium that could show the truth in beauty and the beauty in truth. Listen to simply this posted piece alone and you shall begin to sense…hear the world transform before your very ears. Richard Wetz was born in Gleiwitz, Upper Silesia (Austria) on February 26th, 1875, and died in Erfurt on January 16th, 1935. He began by self-teaching, then enrolled in the Leipzig Conservatory but stayed for only six weeks. He took instruction privately from Richard Hofmann, director of the Choral Society of Leipzig. 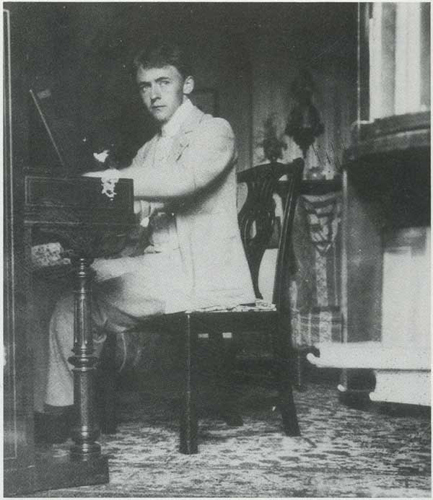 In 1899 he headed to Munich to study with Ludwig Thuille, an instructor/composer perhaps best-known today for a sextet, though it was Thuille’s violin sonata overshadowed in the concert at which Reger’s somewhat scandalous fourth sonata had its premiere…. He then wrote two operas to his own librettos before receiving a post as the director of the Erfurt Music Society in 1906, and his career might be said then to have truly been launched. The next few years saw both the failure, unfortunately, of the second of his two operas, but also the success of his Kleist Overture, op. 16, premiered in Berlin in 1908 under Nikisch in a concert with Elgar’s Enigma Variations. With increasing success came, of course, further compositions – one singles out from the period before the 1917 premiere of his first symphony in particular, his Gesang des Lebens (op. 29, just recorded on cpo with the 3rd symphony,) Chorlied aus “Oedipus auf Colonos” (op. 31,) Hyperion (on texts by Hölderlin) for baritone, mixed chorus and orchestra (op. 32, 1912,) and his sonata for violin (op. 33). Premiered by Liszt-scholar/archivist Peter Raabe, the first symphony op. 40, in c, begins over a quiet and expectant rhythmic pulse, out of which develops naturally the movement’s long-breathed main theme. Particularly notable in this movement is a dissonant clash around fifteen minutes in, which leads to an expansive outburst of the second theme. After the recapitulation subsides into the more active coda, we are in a very different place. Frenetic downward scale fragments based on one of the subsidiary themes dispel any leisureliness from the forward motion of the work, and over them, increasingly urgent reminiscences of that same theme provoke first a collision, then two maestoso restatements, and ultimately resolution into several triumphant C major chords, and a pause… followed by repeated, insistent, and very final minor-third descents of Eb-C, the last C held unisono. Those wondering at the sound of his music will find sometimes something of a mix, melodically, of Bruckner, Liszt, and Wagner, and structural and harmonic similarities from time to time as well. By no means, I think, will they find a particularly derivative composer, particularly in the first symphony; what gets said, how, in what order, why, and such questions… the composer seems to have developed answers that are at least partially his own. In the first symphony, though the mood is by no means uniformly bleak (one ought not in any event confuse tragedy in its classic sense, with bleakness,) the techniques are put to the service of an overall tragic goal; the second symphony has a quite different spirit, somewhat pastoral (as suggested by the booklet-notes to the cpo recording) perhaps, quite positive overall even in its largely minor-mode finale. I look forward to hearing the 3rd in Albert’s new recording, and any further Wetz recordings cpo or other labels should release.